Quali strategie innovative e inclusive adoperare nei Paesi europei per favorire il dialogo interculturale e intergenerazionale tra giovani donne migranti e anziane originarie del luogo? For centuries, intergenerational learning has been the informal vehicle within families for systematic transfer of knowledge, skills, competences, norms and values. Intergenerational dialogue happens when we talk and listen to people whose generation, experiences, perspectives and references are different to our own. Dialogue cultivates learning and broadens perspective . Newman notes the emergence of the new extra-familial paradigm in the last quarter of the 20th century and the need for creating opportunities in which intergenerational learning, meaningful relationships and social and emotional growth could occur between non-biologically connected children, youth and older adults. For intergenerational dialogue to flow more readily there must be programmes and policies that aim at moving in concerted direction towards an age-integrated society where intergenerational interaction is natural across the domains of family, community and the workplace . For a constructive dialogue between generations there must be a certain context and activity. 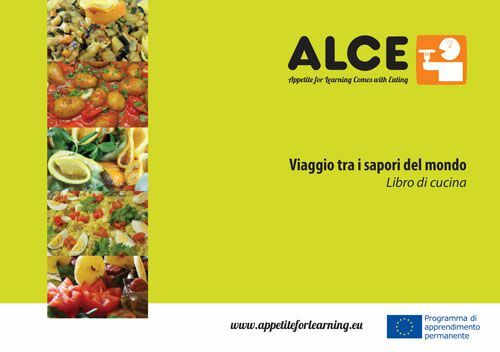 The ALCE project presents a culinary context and activities related to exploring, transferring and testing traditional food recipes and natural curative remedies. The activities involve two adjacent generations: migrant women aged 18-40 and senior native women aged over 60. ALCE involved participants from two distinct age groups with the aim of promoting exchange not only between cultures but also between individuals who do not usually move in the same circles or have contact with other generations outside of their own families. During the training, participants studied and presented their own culture through recipes and curative methods passed from generation to generation. As a result, learners became more aware of their own cultural heritage that linked them to older generations and of other generations presented to them. Moreover, the participants’ experience of cooking their own recipes with other women and creating fusion dishes was the crucial moment in which learners from different cultures and ages integrated and worked together. Intercultural Dialogue is considered here as ‘an open and respectful exchange of views between individuals and groups belonging to different cultures that leads to a deeper understanding of the other’s global perception’ . The ALCE study was developed on observations of significant demographic changes in Europe and especially in partner countries (Austria, France, Italy, Lithuania, United Kingdom). Each country is rich in different cultures and different national responses to issues concerning immigration, equality and diversity and the integration of different communities. The target group of young migrant women and senior native women are identified as belonging to different communities possessing diverse cultural backgrounds, traditions and values. Cultural diversity often triggers fear and rejection. 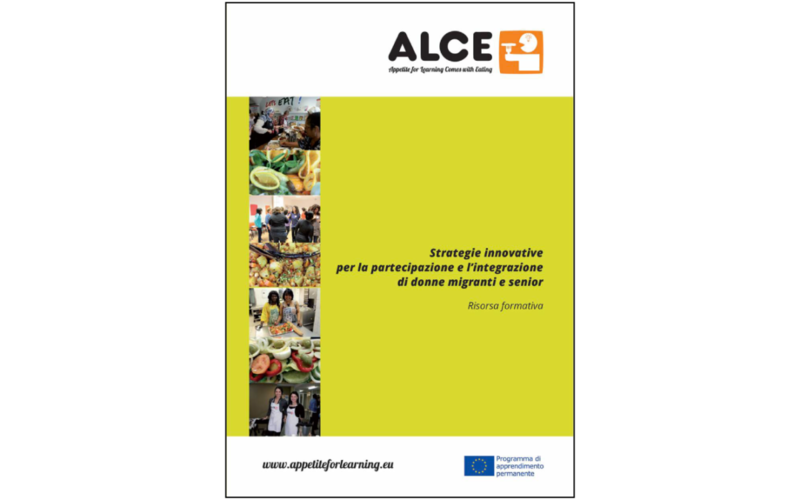 Stereotyping, racism, xenophobia, intolerance, discrimination are issues which might be experienced by the participants attending the ALCE project. The training course played an important part in fostering dialogue between different cultures and supported women experiencing social exclusion and isolation to develop a sense of community and belonging in a multicultural society. According to UNESCO, ‘Cultural heritage […] includes traditions or living expressions inherited from our ancestors and passed on to our descendants’. Furthermore, the importance of intangible cultural heritage is not the cultural manifestation itself but rather the wealth of knowledge and skills that is transmitted through it from one generation to the next. • Non-formal activities and exercises involving cooking and demonstrations of curative remedies allow learners to demonstrate methods and techniques enabling transmission of heritage through objects belonging to learners’ cultures. • Pairing learners from different age groups sharing knowledge based on their personal experiences and generating knowledge-sharing dynamics. • Developing grassroots strategies for sharing information with other communities and generations, etc. The concept recognises the various forms of discrimination that one individual can be subjected to. Most of us don’t belong to one community but several, and this diversity, while being a source of strength, can also make a person a target for prejudice. The concept of multiple discrimination not currently recognised in EU law, although EU directives do take into account that the six recognised forms of discrimination (gender, race and ethnic origin, religion and belief, disability, age and sexual orientation) can intersect . This mismatch between law and reality of human experience means that while all individuals are potentially vulnerable to multiple discrimination current legislation simplifies identity-related issues. An effort to recognise and address multiple discrimination would be a step towards better protection of its victims and a more accurate representation of contemporary discrimination. ALCE study is aimed at women from two different age groups and several cultural backgrounds and therefore potentially vulnerable to experience multiple discrimination. The learning process within the training course allows them to reflect on the notion of inclusion, to break their own stereotypes and to identify people as individuals rather than only representative of communities. Participants developed strategies for dealing with various forms of discrimination and act against multiple discrimination, while confronting their own stereotypes. Due to the combination of social integration and cohesion, there has been an intense public and policy debate in recent years about the links existing between ethnic diversity, community cohesion, social capital and immigration. An obdurate opinion is that growing immigration flows and ethnic diversity might endanger the social cohesion of a society. However, the contrary is also thinkable, that is the fact that cultural diversity can always leads to a strong and dynamic society if mutual respect and understanding is given. The practical activities based on non-formal education techniques which foster a biographic approach aimed to increase mutual understanding through identification of the biographies and cultural specificities of each learner. The group dynamic here played a fundamental role to successfully perform this fundamental notion. In some countries, for learners it was the first occasion to talk and collaborate with migrant women or from the other side to communicate with native women and discuss cultural differences and traditional recipes. A crucial theme for all societies in the explanation of social roles and relational process within every community, as they set many of the rules for social interaction. One of the important topics frequently mentioned in connection to gender issues is gender equality. Although EU member states are increasingly exposed to the impact of EU regulations in the fields of gender equality and anti-discrimination, obstacles to real equality still remain. According to the European Commission report on Gender mainstreaming active inclusion policies , proper gender policies are still largely underdeveloped. The report also mentions that while older people in European countries have in general a significantly lower education level than younger age groups, older women are more often affected disproportionately by educational deficits than older men. The diplomas and qualifications, training and professional experience of skilled and highly skilled women have to be recognised in order to ensure the participation of immigrant women in the labour market. Knowledge and awareness about social rights is one important precondition of social inclusion. ALCE responds to the need of tackling gender discrimination through a learning process that helps women to become aware of their skills. The choice of exchanging culinary traditions and cooking encouraged the women to look at their role of mother and wife in a different way from the traditional one; cooking is not only a duty that is often addressed to women, but a concrete skill in itself and a mean for entrepreneurship. The trainers involved the women in a process of raising awareness about the role they have in their environment (family, local communities, work, etc.) and the potential they have. Findings of the study has been used for the creation of the Pilot Training Course structured in 7 Learning Modules that involved in total 100 women in 5 participating countries. The modules included activities such as sharing about women’s own traditions related to food, cooking and natural remedies, sharing recipes and creating fusion recipes using traditional ingredients from different countries, exchanging ideas on how to create an intercultural recipe book that promotes intangible heritage involving migrant communities. The description of the Learning Modules and practical activities are included in the Training Resource available for download in 5 languages. Promoting Interculturalism Through Non Formal Education. An Evaluation Procedure. The ALCE Recipe Book is a collection of the traditional and fusion recipes and natural remedies shared among the women during the ALCE project representing over 25 different cultures and nationalities. A Pedagogical Manual, describing creative approaches and alternative settings to be used by adult educators and civil society organization for promotion of intercultural and intergenerational dialogue within mixed groups of learners. The Cookbook was compiled from traditional recipes, fusion recipes and natural curative remedies that were contributions from learners involved in the project. It is a celebration of the achievement and commitment of the participants and demonstrates the rich cultural history and learning that comes through preparing food and eating together.